I have a fascination with maps. Maybe it's because I'm a visual person, they just seem to make more sense to me than if someone says, turn left, turn right. If someone gives me directions, I grab a piece of paper and draw a map. If someone wants directions from me, I sketch out a quick map. I know that this isn't how most people feel about maps, but it's what I see in a map, and if you see it, too, let's face it, you're kinda weird. 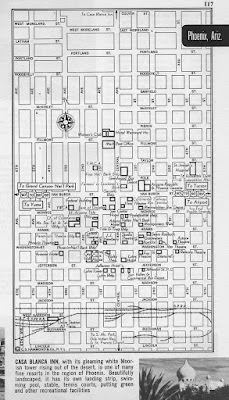 Maps do more than guide me, they help me to time-travel. 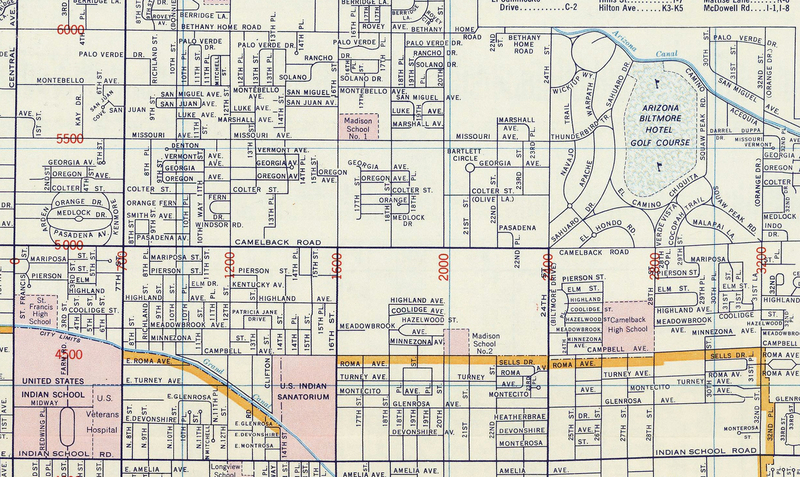 When I look at a map of Phoenix before any freeways were built, I'm transported back to that time. 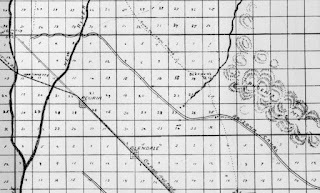 When I see "city limits" on a map in an area that is now considered the middle of Phoenix, I can imagine what the streets looked like, and felt like, at that time. I like pictures of things. 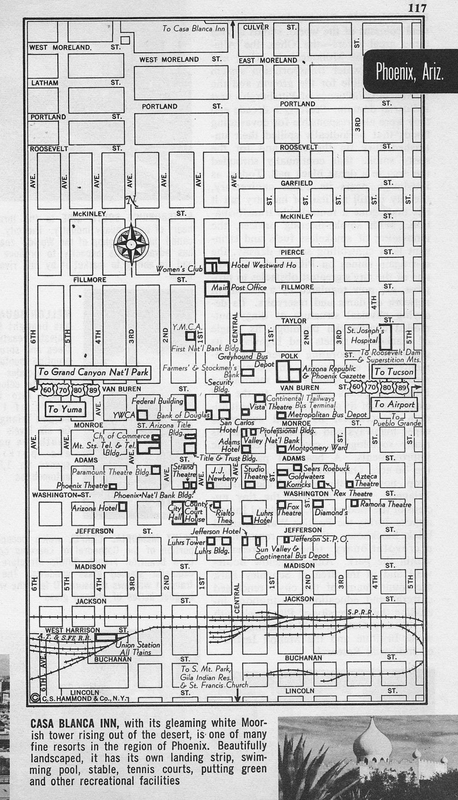 When I can't find pictures, I like maps. If someone starts talking about stuff, I zone out. I didn't realize just how weird I was until I started listening to GPS devices, which said things like "in two-and-a-half miles, turn left, then turn right". I've ridden with people who drive all over the place listening to a voice in their car, and it doesn't seem to bother them. But I want to look at a map! 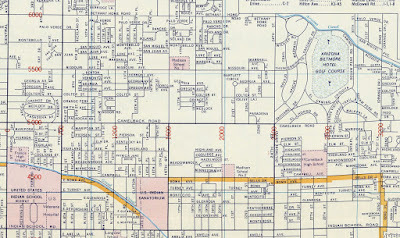 Image at the top of this post: map of Phoenix, Arizona in 1956. 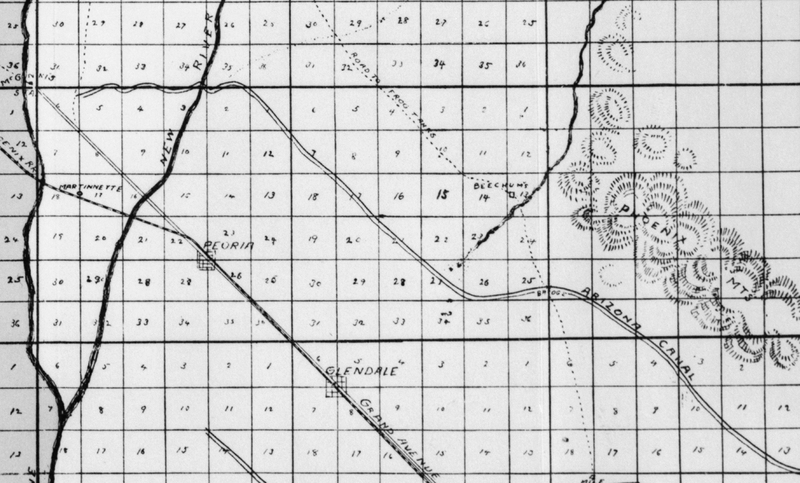 Note the city limits were just north of the Indian School, south of Camelback Road.